^ Bodleian Libraries [@bodleianlibs] (13 April 2017). "We have translated the Bodleian oath into more than one hundred languages. Readers make the pledge in their mother tongue" (Tweet) – via Twitter. ^ "Weston Library | Classical & Medieval MSS". 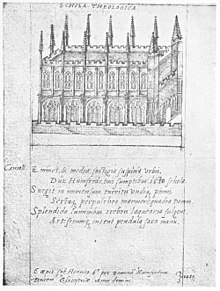 Bodleian.ox.ac.uk. Retrieved 12 March 2017. ^ "Weston Library | Hebraica, Judaica & Semitics". Bodleian.ox.ac.uk. Retrieved 12 March 2017. ^ "Weston Library | South & Inner Asia". 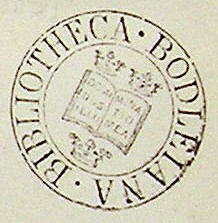 Bodleian.ox.ac.uk. Retrieved 12 March 2017. ^ "Copyright Act 1911". legislation.gov.uk. Retrieved 11 March 2017. ^ "Weston Library | Middle East". 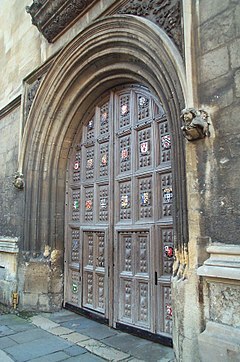 Bodleian.ox.ac.uk. Retrieved 12 March 2017. 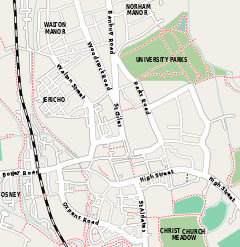 ^ "Weston Library | Maps". 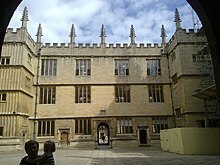 Bodleian.ox.ac.uk. 12 February 2015. Retrieved 12 March 2017.